Tetlow King Planning (TKP) are delighted to have been part of a team that has secured a resolution to grant full planning permission for 11 ‘extra care’ apartments in the Worcestershire countryside for their client Richmond Villages – part of BUPA. Success was achieved despite initial concerns from Wychavon District Council’s planners, conservation team and others. The application site is part of a larger redevelopment, now nearing completion, for the creation of a care/retirement village at the former BBC Training Centre at Wood Norton, near Evesham. TKP also assisted in the original application of the village. The additional apartments are an extension to a high quality care village opening in Spring 2019 https://www.richmond-villages.com/retirement-villages/wood-norton. The facilities in the Village will include a Wellness Spa, swimming pool, restaurant, bar and beauty salon. The Council initially had concerns on the additional 11 apartments because of their countryside location, the setting of listed buildings and impact on important trees. The Council also considered affordable housing might be required but TKP were able to demonstrate to the planners that there is a significant need for older person’s accommodation in the District and that the policies did not apply to this type of accommodation while also justifying development in the location. 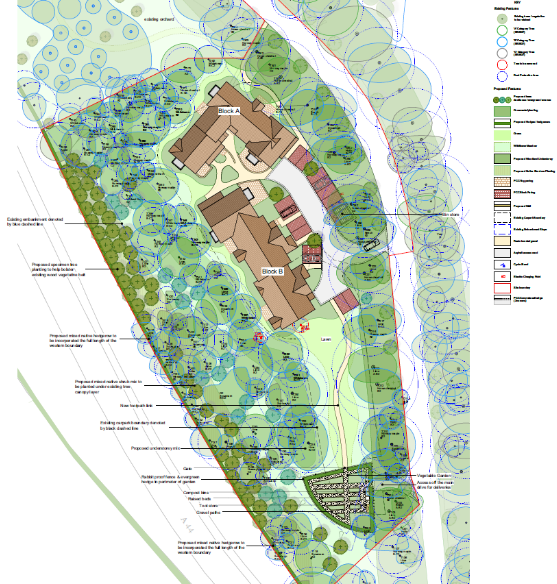 Revisions to the scheme enabled the heritage and tree issues to be resolved. Following negotiation, the Council’s planners recommended approval for the scheme, and Wychavon District Council’s Planning Committee unanimously supported the proposal. TKP complement the project team which actively addressed and resolved concerns. The team included Fed3 Projects (construction project management consultants); Portus & Whitton landscape architects; PRC Architecture and Planning; Rodgers Leask (drainage), SJ Stephens (trees); James Johnston Ecology and KM Heritage, and of course Richmond Villages themselves.